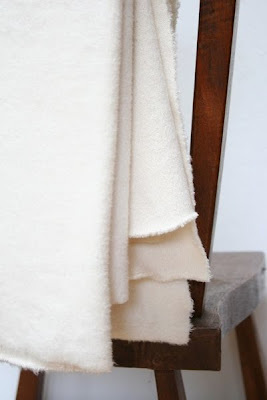 Customers have been loving the Lina Rennell "sheepskins" and now there's a lightweight (though still very thick & rich, and crazy soft) throw blanket. 100% organic cotton. -sheared "fur" texture on one side and knitting on the back.